Are you considering personal training with a health coach? Research shows that exercise is proven to prevent dementia, and this is just one reason why many of us are now looking for health and fitness plans for older people that fit in with our lives and our goals. When you consider that exercise also reduces stress, it’s no wonder that a new approach to personal training that offers the individual support of clinically trained health coaches in a calm and purposeful atmosphere is gaining popularity. For those looking for exercise for the over 50s, 60s, 70s and 80s it can be difficult to know where to find an environment that will offer the right mix of advice, support and practical fitness plans. 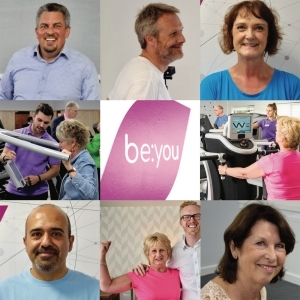 The Viavi:be personal training team, based in our lifestyle and health gym in Summertown, near Oxford, can guide and support you in a wide variety of health goals. We’ve helped many of our members achieve goals such as weight loss, reducing aches and pains, gaining more strength and improving overall health & fitness.